Well here we are at the end of another month and I am pleased to say I have finished my project for 13 UFO's in 2013. I cut out the pieces for this topper a number of years ago and there it sat in the cupboard until January this year when I put 13 of my UFO's in plastic bags, gave each one a number and placed them in a box. I'm pleased to say here is my September finish. I'm going to put it on top of my freezer in the laundry where it will happily live among all the other farm related animals I collected at one stage. Thank you Marti for hosting again this month. You can check out what other people finished by going to Marti's blog on the 1st of October. The hanging on the lower left is from my folk art painting days. Also I managed to finish my SAL 2013 item for September which is the last one for this stitch along. I have really enjoyed playing along and must admit I did get a pass for August, so hope to complete that one soon and get a tick of approval from our SAL coordinators, Chookyblue and Susan. Thank you for all your work over the last 9 months and I look forward to joining in again if there is a 2014 one. I was also very lucky winning Claire's birthday giveaway. 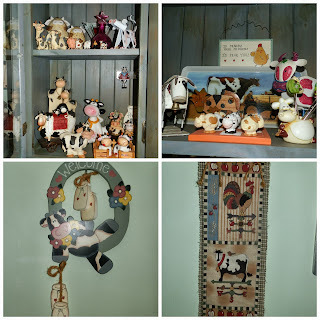 Her blog is called Claire-Bears Quilts and can be found at http://claire-bearquilts.blogspot.com.au/. Thank you so much for my lovely gifts Claire. A Towne Square Quilts Charm pack, variegated thread and a Wacky Web Template from the Missouri Quilt Co. They have lots of great tutorials on You Tube. Last week, hubby and I went down the coast for dinner to celebrate my grand-daughter's 20th birthday. So in closing, here is my gorgeous girl, Kiah with her boyfriend Hayden. A bit of a long post so if you have made it to the end thank you. Lovely finishes and gifts and one very happy birthday girl! Great finishes, a lovely win and one stunning daughter! Always lovely to finish things off. Beautiful fabrics in the needlecase, and a lovely win. So glad you have your gift and very pleased you like it. 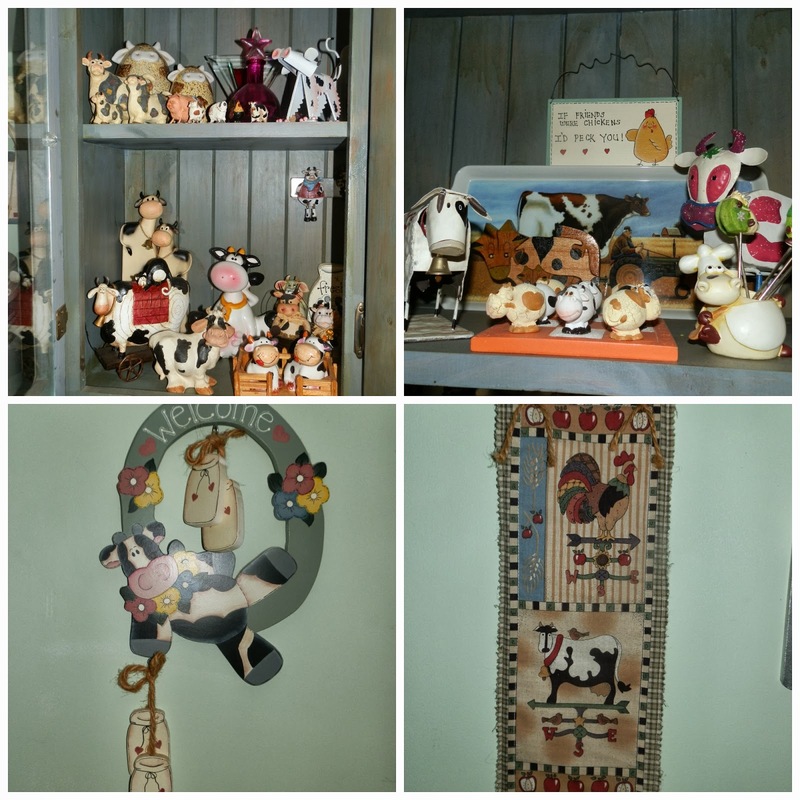 a great round up Noela - love the farm animal collection, and of course the needle case. Wonderful finishes...your needle case is just lovely....Happy Birthday to your grand daughter..
Great finishes, a lucky win and beautiful family. What more could a girl want. Your new quilt is lovely and will go perfect with your other animals! Love your needlebook, beautiful stitching.